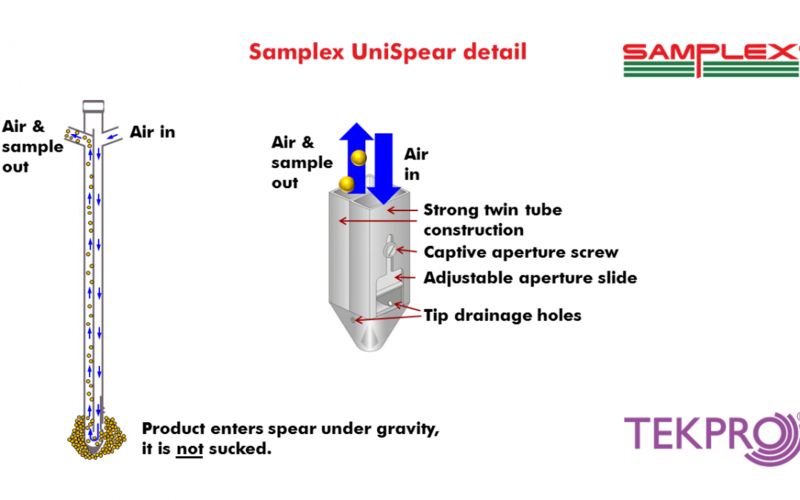 Video: Samplex CS90 featuring UniSpear dual aperture control for a more measured sample. Samplex CS60, CS90 and CS6000 Grain Samplers all feature dual aperture control as standard. This enables greater control over sample volume received at the reception chamber.